The Australian Cricket Association (ACA) is endorsing the inclusion of the national women’s cricket in the next collective bargain agreement. The ACA delegates held a meeting in Melbourne last week as they head towards the commencement of negotiations for the latest MOU (Memorandum of Understanding). 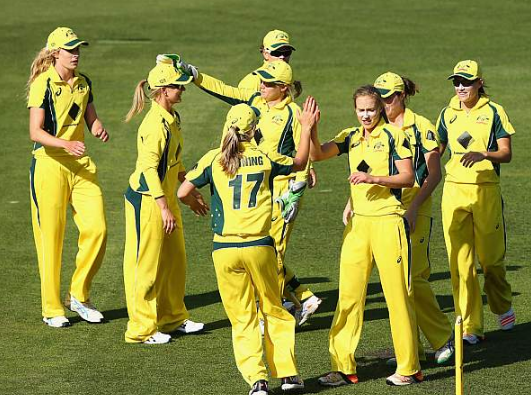 The players body proposed to CA (Cricket Australia) to grant the female players the same rights as the male players. At this moment in time, it is well evident that the women cricketers do not have a large scale agreement with the Board and miss out on several incentives when compared to the male cricketers. The ACA also proposed the idea of the revenue of the women’s game be included in the overall revenue of Australia cricket. Earlier this year, the CA had increased its commitment to the female department from 2.36m AUD to 4.23m. The Board has been repeatedly making its notion for the womens game crystal clear. The 2015-16 season was massive for the female cricketers, with the inauguration of the first ever Womens Big Bash League (WBBL). Australia’s women cricketers are the highest paid female athletes in the country, but it is to be known that they still earn only a fraction of the money that their male counterparts earn. Former Aussie batsman Simon Katich, now an exectutive member of the ACA emphasized that it is all about women being able to enjoy all equal rights as the male players.